I want to share your stories through regular guest posts. 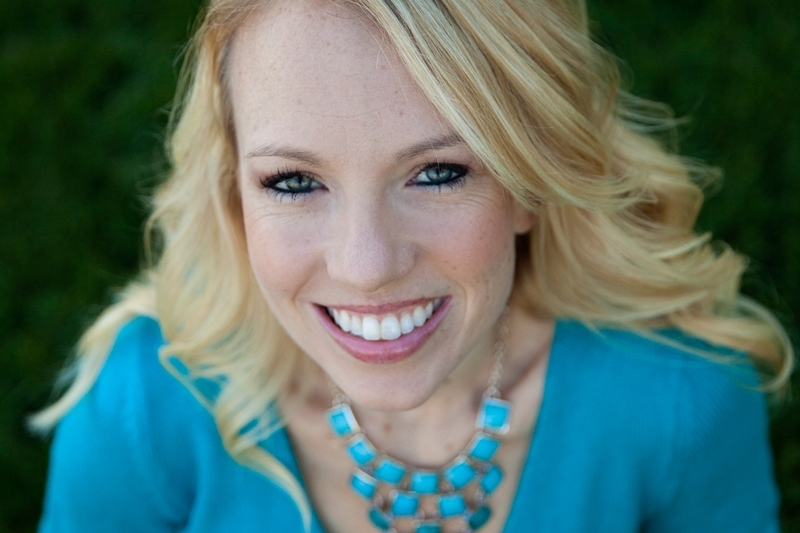 Today’s guest post is by Courtney Westlake. You can find her blog here. Courtney has become a very dear friend to me. We first met when her daughter needed a Developmental Therapist (that was me!). We've built our friendship over writing and blogging, business ideas and special needs parenting. When my husband, Evan, and I found out we were adding a little girl to our family, joining her big brother Connor, we saw pigtails. We envisioned a little girl toddling around the house chasing her brother with blond pigtails bouncing on the sides of her head. But on the afternoon of Brenna’s birth, that image of pigtails was ripped from our minds. There was complete shock in the delivery room when Brenna was born; Evan almost fainted at the sight of her, and the medical staff frantically called for a neonatologist. Brenna was covered in plaques that were so thick they almost looked like armor, which were split by deep cutting fissures. Her eyelids were flipped inside out, her fingers and toes were short and clenched, and you could barely make out her ears. 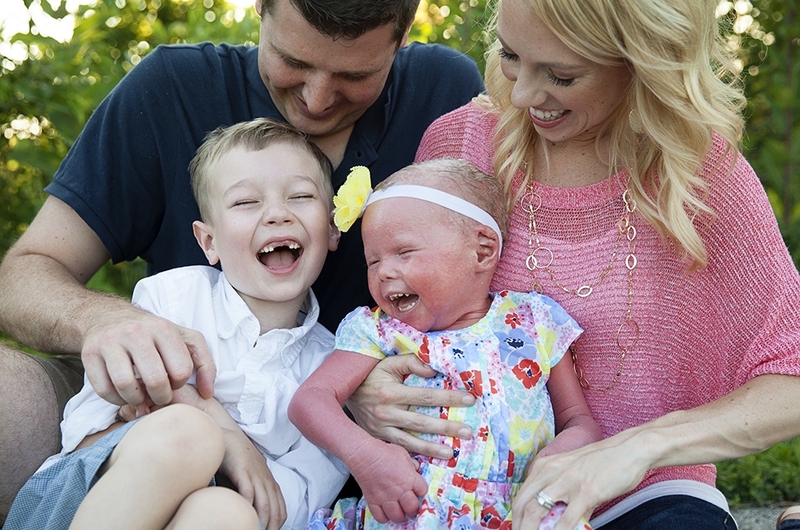 Brenna was rushed to the nearby NICU and diagnosed with a very rare, very severe genetic skin condition called Harlequin Ichthyosis. Essentially, what this means is that her skin has trouble doing the jobs for her body that skin typically does. It doesn’t hold in moisture, it doesn’t keep germs out of her body – so she can get skin infections very easily – and her skin has a difficult time regulating her body temperature. She can’t physically sweat, so high temperatures are dangerous for her, and she gets cold very easily. Brenna’s body recognizes this error in her genetics, so it tries to make up for that error – by making more and more skin. She makes skin 10 times faster than we do, and she can’t shed it quickly enough, leaving her with an appearance of a severe sunburn all over her body. And, interestingly enough, another effect of making too much skin is that this kills off her hair follicles. 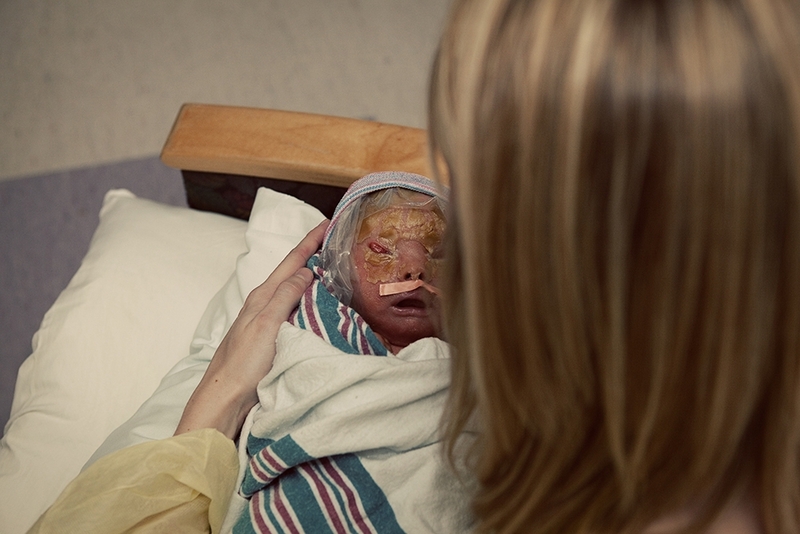 When she was born, we could see clumps of dark hair grown into her thick plates of skin, but as those original plaques of skin began to peel off, they took her hair with them. 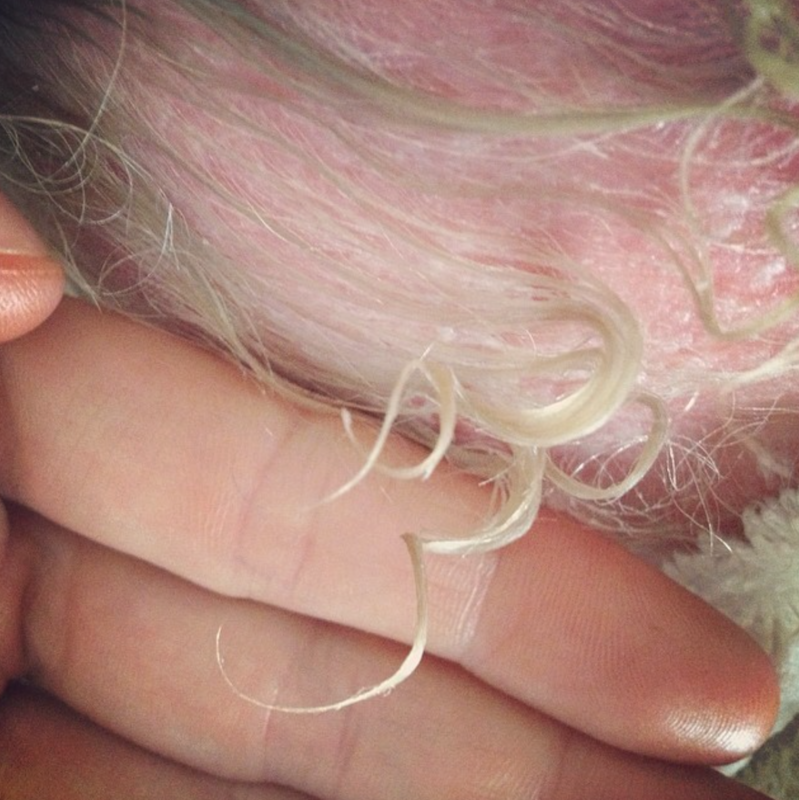 However, as Brenna got older, little strands of white-blond hair began to emerge from her scalp around the back of her head and has continued to grow in, little by little each month and each year, with small tufts on top and longer around the back. When Evan and I first thought about our daughter’s pigtails, the thought certainly didn’t cross our mind that she may not be able to grow much hair. And there was a time that we mourned the loss of her hair, along with the loss of many other things we expected about adding a little girl to our family. What an incredible opportunity we have to get to know our children as they grow up, to learn who they are as God created them - with such unique talents, abilities, and purpose - and help guide them toward Him. Motherhood doesn’t usually end up like what we had planned, but when we can see the beautiful in the unexpected and in the different, we can start to celebrate the joy of what is, instead of mourning what isn’t. 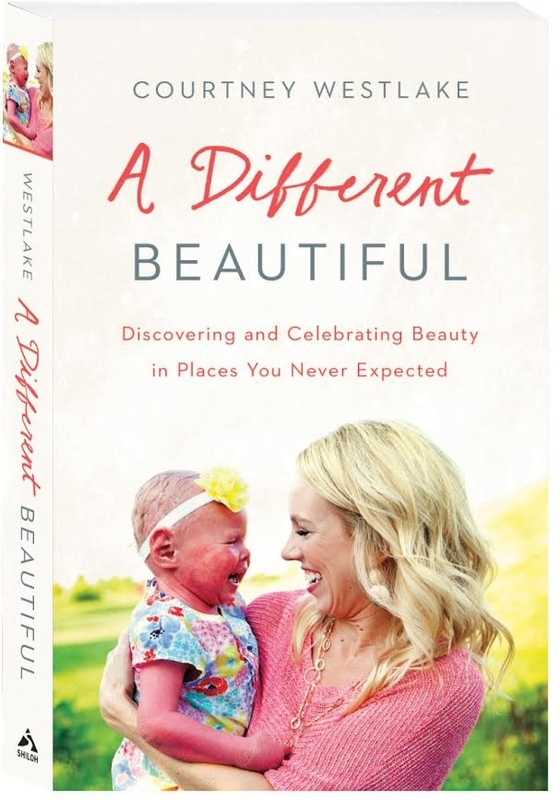 Courtney Westlake is the author of newly released book A Different Beautiful. 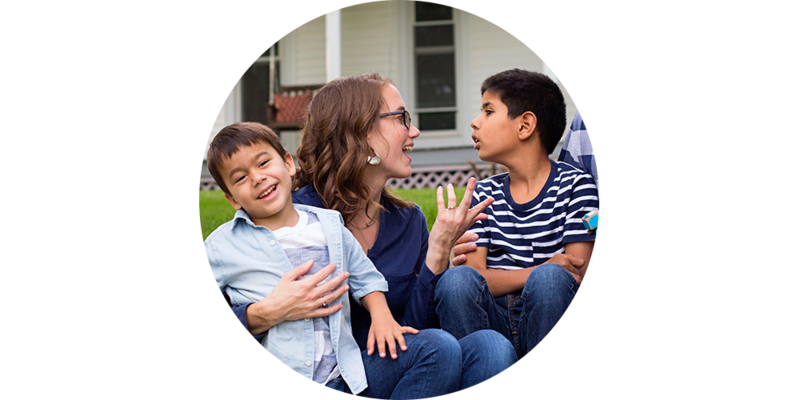 She lives in Illinois with her husband Evan and two children, Connor and Brenna. 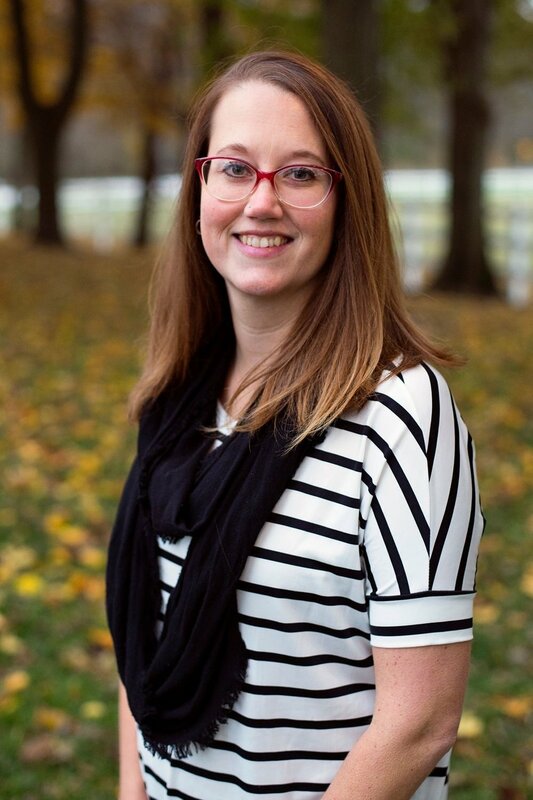 After Brenna was born with a severe skin disorder, Courtney began chronicling family life and experiences raising a child with physical differences and special needs on her blog. Her writing has been published on sites such as the Huffington Post, Good Housekeeping, Woman's Day and Yahoo Parenting. You can follow her on Facebook and Instagram.